Pressed against the black painted walls of Vinyl on Vinyl are portraits of countless characters, with or without a face. From empty frames to seemingly empty silhouettes, the exhibit paints a picture worth a thousand words. 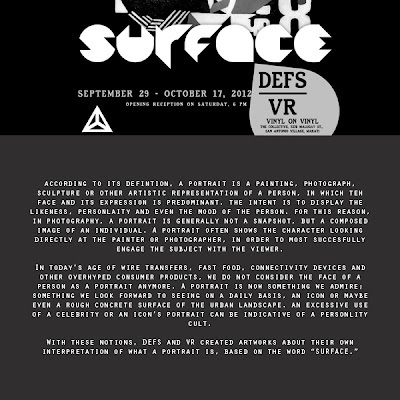 ‘Surface’ was displayed in Vinyl on Vinyl last September 29-October 17, 2012. 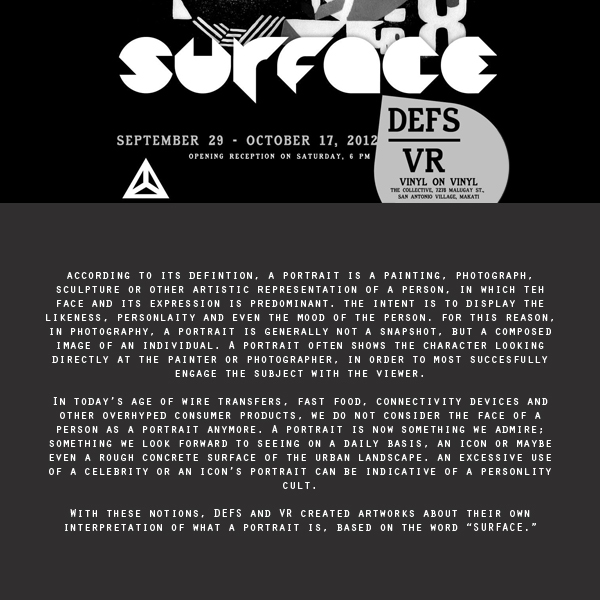 Pass on by and get re-educated on surfaces and portraits.